1. 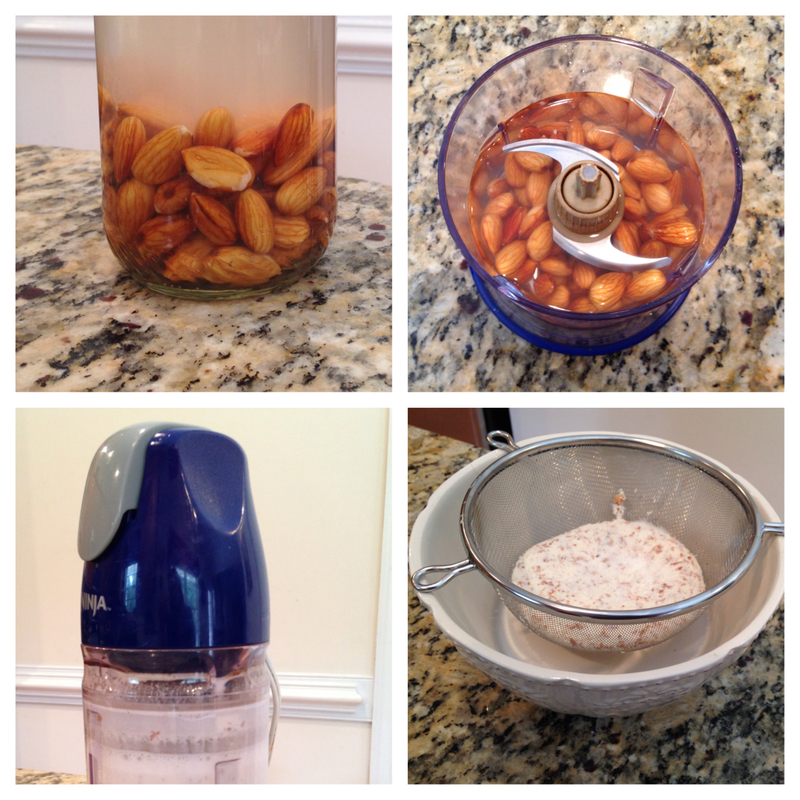 Soak a cup of almonds in water for four or more hours. 2. Drain that water off and put the nuts in a blender. Add water about 1/2 an inch over the nuts, and blend for a minute or until all the nuts are chopped. 3. 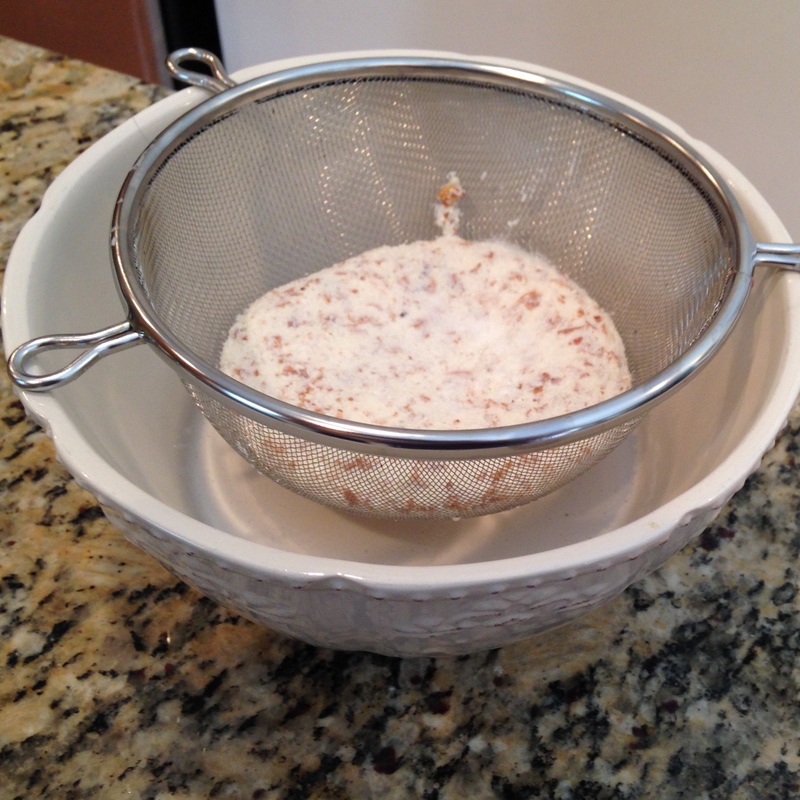 Strain the nuts and voiala – fresh almond milk with no additives! 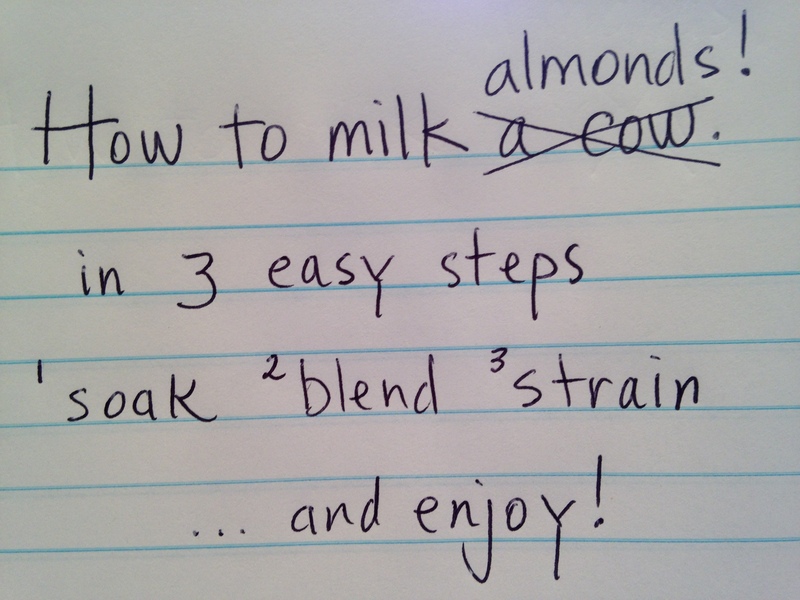 Add a banana and ice to this delicious milk for a scrumptious, protein-rich breakfast!